To send a HTML marketing campaign, click New campaign in the Marketing menu. 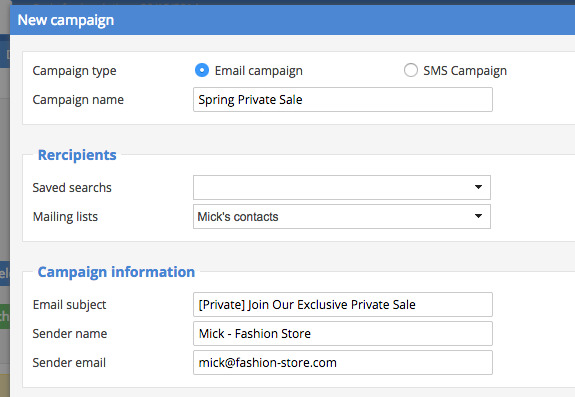 In the next window, choose the email campaign option. You can now choose the Expert edit mode to create the campaign and compose your email. When you paste or type HTML code, it is directly displayed in the left panel. When you are satisfied, save your campaign.